Does Ice Act As Greenhouse On Mars - Fresh Liquid Water Habitats In Spring 10-20 Cms Below Polar Ice? "What area on Mars is the most interesting for us?". My answer to this question isn’t an impressive geological feature like Olympus Mons or Valles Marineres. For me, it’s a rather unremarkable seeming crater, Richardson crater near the south pole. Let me explain why. First this shows where it is. It is close to the south pole - this is an elevation map and I’ve trimmed it down to the southern hemisphere. You can see Olympus Mons as the obvious large mountain just right of middle, and Hellas Basin as the big depression middle left. Richardson crater is about half way between them and much further south. Here is a close up - see all those ripples of sand dunes on the crater floor? Well it’s not the ripples themselves that are of special interest, Mars is covered in many sand dune fields like that planet wide - but little dark spots that form on them which you can see if you look really closely from orbit. And, would you ever guess? Although it's one of the colder places on Mars, there's a possible habitat for life there in late spring? 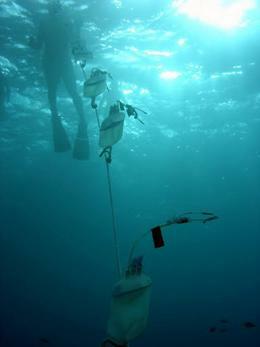 It is due to the "solid state greenhouse effect" which causes fresh water at 0°C to form below clear ice in Antarctica at a depth of up to a meter, even when surface conditions are bitterly cold. The Warm Seasonal Flows often hit the news (probable salty brines on sun facing slopes). But for some reason, the flow like features in Richardson crater are only ever mentioned in papers by researchers who specialize in the study of possible habitats for life on Mars. I first learnt about them in the survey of potential habitats on Mars by Nilton Renno, who is an expert in surface conditions on Mars (amongst other things, he now runs the Curiosity weather station on Mars). You can read his survey paper here, Water and Brines on Mars: Current Evidence and Implications for MSL. The models I want to summarize here are described in his section 3.1.2 Dune Dark Spots and Flow-like Features under the sub heading "South Polar Region". But it's in techy language so let's unpack it and explain what it means. Geysers which erupt through thick sheets of dry ice on Mars. Clear dry ice acts as a solid version of the greenhouse effect, to warm layers at the bottom of the sheet. It is also insulating so helps keep the layers warm overnight. Dry ice of course at those pressures can't form a liquid, so it turns to a gas and then explosively erupts as a geyser. At least that's the generally accepted model to explain why dark spots suddenly form on the surface of sheets of dry ice near the poles in early spring on Mars. So that would be cool enough, to be able to observe them, video them and study them close up. I hope the rover would be equipped with the capability to take real time video. Those are widely known and many scientists would tell you how great it would be to look at them up close. But most exciting is what happens later in the year, when it is getting too warm for the thick layers of dry ice needed for geysers. You would think that the dark spots that you get in the aftermath of the geysers would just sit there on the surface and gradually fade away ready to repeat the cycle next year. But no. Something very strange happens. Dark fingers being to form and creep down the surface as in this animation. Very quickly too (for Mars). BTW it was hard to align these images exactly. I cut them out from the raw data, and aligned them by eye - unlike the RSLs there aren’t any widely shared images of them. I’ve done my best to register them with each other but I couldn’t figure out a way to do it automatically, indeed, they are taken at slightly different angles also so there is no correct registration that puts each frame entirely in sync with the next one. So that’s why you may see some alignment shifts from one image to the next. It’s the best I can do. The general idea is clear enough. All the likely models for these features, to date, involve some form of water. Alternatives include a second ejection of material by the dry ice geyser, or dust deposition, but researchers think these are unlikely to produce the observed effects. That’s not as surprising as you might think. The same thing happens in Antarctica - if you have clear ice, then you get a layer of pure water half a meter below the ice. The thing is any water on Mars exposed to the surface would evaporate quickly, so quickly that there would be none left. If ice melts there, it turns directly to water vapour because the atmosphere is a laboratory vacuum, it’s so thin. But - water beneath a layer of transparent ice - that’s a different matter. The water is trapped by the ice so stays liquid. And what’s more, if they model it assuming clear ice like the ice in Antarctica they find that the ice there gets enough heat from the sun in the day to keep it liquid through the night to the next day so the layer can actually grow from one day to the next (ice is an excellent insulator). Möhlmann's model is pretty clear (abstract here). If Mars has transparent ice like the ice in Antarctica, then it should have layers of liquid fresh water 5 - 10 cms below the surface and a couple of cms in vertical thickness in late spring to summer in this region. His model doesn't involve salt at all, so the water would be fresh water. The only question here is whether clear ice forms on Mars in Mars conditions and whether the ice is sufficiently insulating. We can’t tell that really from models, the only way is to go there and find out for ourselves. Blue wall of an Iceberg on Jökulsárlón, Iceland. On the Earth, Blue ice like this forms as a result of air bubbles squeezed out of glacier ice. This has the right optical and thermal properties to act as a solid state greenhouse, trapping a layer of liquid water that forms 0.1 to 1 meters below the surface. In Möhlmann's model, if ice with similar optical and thermal properties forms on Mars, it could form a layer of liquid water centimeters to decimeters thick, which would form 5 - 10 cms below the surface. In his model, first the ice forms a translucent layer - then as summer approaches, the solid state greenhouse effect raises the temperature of a layer below the surface to 0°C, so melting it. This is a process familiar on the Earth for instance in Antarctica. On Earth, in similar conditions, the surface ice remains frozen, but a layer of liquid water forms from 0.1 to 1 meters below the surface. It forms preferentially in "blue ice". On Mars, in his model, the melting layer is 5 to 10 cms below the surface. The liquid water layer starts off millimeters thick in their model, and can develop to be centimeters thick as the season progresses. The effect of the warming is cumulative over successive sols. Once formed, the liquid layer can persist overnight. Subsurface liquid water layers like this can form with surface temperatures as low as -56°C. CREATES POTENTIAL FOR FLOWING FRESH LIQUID WATER ON MARS! That's for fresh water. The liquid layer below the surface is warmed by the solid state greenhouse effect to 0°C even when the surface temperature is as low as -56°C. The same thing happens in Antarctica, that you get fresh liquid water forming below the surface when the surface temperatures are far too low for liquid water. It's because ice traps heat in much the same way that the CO2 on our atmosphere does, and then the ice and snow is also is very insulating (the reason the Inuit build igloos), so keeps the heat in. That's why the layer forms up to a meter below the surface in Antarctica and why it would form 5 to 10 cms below the surface on Mars, so that the solid state greenhouse effect can warm the subsurface to a much higher temperature than the surface and so that there is enough ice to insulate it to keep it warm. Inuit village, Ecoengineering, near Frobisher Bay on Baffin Island in the mid-19th century - ice and snow are very insulating. In the model, then the ice below the surface is first warmed up in the daytime sunshine, due to a greenhouse effect, the infrared radiation is trapped in the ice in much the same way that carbon dioxide traps heat to keep Earth warm. Then because the ice is so insulating, then the heat is retained overnight, and the water remains liquid to the next day. To start with it would be only millimeters thick but over several days, gets to thicknesses of cms. This should happen on Mars so long as it has ice with similar properties to Antarctic clear ice. If there is a layer of gravel or stone at just the right depth, the rock absorbs the infrared heat and that can speed up the process. In that case, a liquid layer can form within a single sol, and can evolve over several sols to be as much as several tens of centimeters in thickness. That is a huge amount of liquid water for the Mars surface. In their model it starts as fresh water, insulated from the surface conditions by the overlaying ice layers. This fresh water of course can't flow across the surface of Mars in the near vacuum conditions, as it would either freeze back to ice, or evaporate into the atmosphere. But the idea is that as it spreads out, it then mixes with any salts also brought up by the geyser to produce salty brines which would then remain liquid at the much lower temperatures on the surface and flow beyond the edges to form the extending dark edges of the flow like features. A way for fresh water to be present on Mars at 0 °C, and to stay liquid under pressure, insulated from the surface conditions. Depending on conditions, the liquid layer is at least centimeters in thickness, and could be tens of centimeters in thickness. Initially of fresh water, at around 0°C. If salt grains are present in the ice, then this gives conditions for brines to form, which would increase the melt volume and the duration of the melting. The brines then flow down the slope and extend the dark patch formed by the debris from the Geyser, so creating the extensions of the flow like features. They mention a couple of caveats for their model, because the surface conditions on Mars at these locations is unknown. First it requires conditions for bare and optically transparent ice fields on Mars translucent to depths of several centimeters, and it's an open question whether this can happen, but there is nothing to rule it out either. Then, the other open question is whether their assumption of low thermal conductivity of the ice, preventing escape of the heat to the surface, is valid on Mars. The process works with blue ice on Earth - but we can't say yet what forms the ice actually takes in these Martian conditions. The authors don't go into any detail about this, but ordinary ice can take different forms even in near vacuum conditions. As an example of this, the ice at the poles of the Moon could be "fluffy ice"
"We do not know the physical characteristics of this ice—solid, dense ice, or “fairy castle”—snow-like ice would have similar radar properties. [then they give evidence that suggests fluffy ice is a possibility there] "
That's the main unknown in their model, whether the ice is blue ice like Antarctic ice, or takes some other form. Phase diagram by Cmglee, wikipedia. Ice outside of Earth can be in many different phases. For instance in the outer solar system it is often so cold that it is in the very hard orthorhombic phase, where it behaves more like rock than what we think of as ice. However ice on Mars is likely to be in the Ih phase similar to Earth life. The Mars surface is close to the triple point of solid / liquid / vapour in this diagram. So, the ice is likely to be of the same type as the blue ice in Antarctica. Not likely to have bubbles of air in it. But it could still take a different forms. The model shows that Mars should have layers of liquid water ten to twenty centimeters below the surface if there are any areas of clear blue ice as in Antarctica. This solid state greenhouse effect process favours equator facing slopes. Also, somewhat paradoxically, it favours higher latitudes, close to the poles, over lower latitudes, because it needs conditions where surface ice can form on Mars to thicknesses of tens of centimeters. (The examples at Richardson crater are at latitude -72°, longitude 179.4°, so only 18° from the south pole. There is no in situ data yet for these locations, of course, to test the hypothesis. Though some of the predictions for their model could be confirmed by satellite observations. Another model for these southern hemisphere features involves ULI water (undercooled liquid water) which forms as a thin layer over surfaces and can melt at well below the usual melting point of ice. In Mohlmann's sandwich model, then the interfacial water layer forms on the surfaces of solar heated grains in the ice, which then flows together down the slope. Calculations of downward flow of water shows that several litres a day of water could be supplied to the seepage flows in this way. The idea then is that this ULI water would be the water source for liquid brines which then flow down the surface to form the features. That would still be interesting as you end up having flowing liquid water on Mars, several litres a day what’s more. Those are the only two models so far. So it does seem very likely that there is liquid water here, and even with the interfacial liquid layers, the water starts off as fresh water beneath the ice, or possibly salty (in either model) if there are salt grains in the ice for the water to pick up. It would be great if somehow we could land a rover near there to travel over to these flows and study them close up with in situ life detection instruments. Though it would need to be sterilized very carefully, we must be absolutely sure that we can’t introduce Earth life there or it would destroy much of the science value for exobiology and might even make whatever is there extinct before we can study it if there is life there. To see how whatever there is there could be made extinct, easily, think of the possibility of some early form of life, e.g. without proteins or DNA, based on RNA only (one theory, the RNA world theory). All earlier forms of life seem to have been made extinct by DNA life on Earth, but they might still exist on Mars. If so they would be extremely vulnerable to introduced Earth life. This is just one scenario according to which introduced Earth life could cause problems or even completely destroy much of the exobiology science value of Mars. The hammerhead ribozyme made up of fragments of RNA, stitched together with no use of protein chains to make the enzyme - a surprising discovery. This reinvigorated the idea of an RNA world with tiny cells and only needing RNA with no need to translate from DNA. The cells would only need nucleotides with no need for proteins or amino acids and would not need all the translation machinery to convert DNA into messenger RNA. As a result the cells could be far simpler than modern DNA life. This is one suggestion for an intermediate stage between the earlier organics and modern life, and is the basis for the RNA world hypothesis. Stephen Benner and others have suggested that there could be RNA world organisms still here today, undetected because they have ribozymes instead of ribosomes. That's the Shadow Biosphere hypothesis. The theory has not yet been confirmed on Earth. But - if the earlier life has been made extinct on Earth - it might still be present on Mars. If so it could be vulnerable to extinction due to whatever made it extinct on Earth. Some researchers plotted the increase of complexity of non redundant nucleotides in DNA. As life increases in complexity, it follows a near straight line on this log plot, through many different changes of structure of organism, from the prokaryotes, to the eukaryotes with nuclei, worms, fish, and mammals. They traced the timeline back, expecting it to cross the zero line at the time of origin of life, and found that the zero line is nearly ten billion years ago. That's over twice the history of the Earth. This diagram shows the complexity of the DNA as measured using the number of functional non redundant nucleotides. This is a better measure of the genetic complexity of the organism than the total length of its DNA. Some microbes have more DNA than a human being - much of that used for other purposes rather than for genetic coding, the so called C Value Enigma. Measuring it this way deals with that issue. Notice that the prokaryotes; the simplest primitive cell structures we know; are well over half way between the amino acids and ourselves. So, either evolution started before the beginnings of our solar system (perhaps brought here by impacts on another solar system that passed through our one as it was forming) - or else - evolution was far more rapid in its early stages. Either way, you'd expect that as many stages of evolution were needed to get from non living chemistry to the early archaea, as were needed to get from the early archaea to modern mammals. The first primitive cells were surely far smaller and can't possibly have been as complex as modern life. Perhaps they used only a few different chemicals. It's not impossible that some form of early life or proto life has survived on Mars. If so, it would potentially be very vulnerable to whatever made it extinct on Earth from introduced Earth life. Note that there are rather similar looking flow like features in the Northern hemisphere, but these typically form at much colder temperatures for some reason, around -90°C - the two hemispheres on Mars have a very different climate. Flow like features in the Northern hemisphere. These are thought to form at much lower temperatures. Some of the models for these also involve liquid water but there are other hypotheses as well. This is another animation I made by hand cutting out the images from the raw data, and I was unable to do exact alignment throughout the image, due to the changing angles at which the photos were taken from orbit. The northern hemisphere has shorter warmer winters (due to Mars’s eccentric orbit), and a lower elevation, but the flow like features there form at times when the surface temperatures are lower than in Richardson crater. There are several different mechanisms for the northern hemisphere flow like features, not all the models for those involve liquid water, and the ones that do involve very cold water. So the Richardson crater ones are the surest bet, seems to me, for a habitable flow like feature. There are many other seasonal features on Mars but most are caused by dust, wind, or dry ice. The Warm Seasonal Flows or RSLs are the best known, of the ones that may provide habitats for life, indeed there is indirect detection of water flowing there through hydrated salts, those also seem a pretty sure bet for liquid brine but the question there is, is the brine warm enough, for life, and if it is warm enough is it too salty or is it fresh enough for life? The better known warm seasonal flows. These form on equatorial facing slopes even close to the equator. It's pretty much confirmed that they involve salty brines in some form flowing beneath the surface. The dark patches are not damp patches but rather some effect on the surface due to the brines flowing beneath. However it's not known yet whether the brines are habitable -they may be either too cold or too salty for life or both. These are very hard to study from orbit because the highest resolution photos we have of them can only be taken during the local afternoon, the worst time to detect the water. That's due to the orbit of the spacecraft taking the photos, which approaches Mars on the sunny side during the local afternoon. For details, see my Why Are Hydrated Salts A Slam Dunk Case For Flowing Water On Mars? And What Next? In the case of the Richardson Crater flow like features - especially if they are indeed cms thick layers below clear ice - the water will definitely be both warm enough and fresh enough for life. The interfacial liquid layers also seem promising because of the way the models predict them to flow together into a liquid stream of water that then picks up salts on its way out. This is just one of many possible locations for life on Mars. But one of the most promising I think since it is habitable for Earth life. All these are places we can explore by telerobotics using increasingly capable robots, also explore using robots controlled from Earth. There is no need to send humans to these places as quickly as possible. It won't help to make us multiplanetary, but it may mean we miss out on discoveries about the origins of life, and other lifeforms. Imagine if you could learn about life on a planet or in the ocean of an icy moon around another star? Even if it was just extraterrestrial microbes or lichens, imagine how exciting that discovery would be? Well Mars, Europa and Enceladus may be like exoplanets and exomoons in our own solar system, they may be as interesting as that. We don't know until we study them close up. It's the aspect of our exploration of the solar system that gets most interest of all from the general public I think. And if we did find an early form of life, or something significantly different, it would be the greatest discovery in biology since the discovery of evolution, or perhaps the discovery of the helical nature of DNA, of that order of importance. Who knows what implications it would have, if you think of how much of modern biology comes from those two discoveries. If we introduce Earth microbes to them, accidentally or intentionally, this may well be irreversible. It's the irreversibility that's the issue here. If it is biologically reversible, not so much of a problem. But if irreversible, that means it would change those places for all future time, not just for us, but for our descendants and all future civilizations that arise in our solar system, they won't be able to make the discoveries they could make by studying these places as they are now, without Earth microbes introduced to them. They also won't be able to transform them in other ways if they decide they wish to introduce a different mix of microbes from the ones we brought there. I think we just know far too little to make such a decision for all those future generations and civilizations and indeed for ourselves. At present anyway. Future discoveries of course can change this. The exobiologists, who hope to fly in situ life detection instruments to Mars some day, design them to be as flexible as possible, to detect not just familiar forms of life. As an example, Chris McKay with his "lego principle" suggests a general way of looking for life not depending on any assumptions that it resembles Earth life. See his What Is Life—and How Do We Search for It in Other Worlds? Early life, e.g. tiny RNA world microbes without DNA or proteins. There are many ideas for early life that could perhaps still exist there, though extinct on Earth. These could fill in the huge gap between the organics and cell like structures resembling cells that turn up in laboratory experiments, and the immense complexity of modern life. One idea is an RNA world cell with no proteins, or ribosomes either, instead using RNA sliced into pieces and recombined to make a ribozyme, a tinier distant cousin of the ribosome. This is possible in theory, and some have suggested that present day Earth might have a "shadow biosphere" consisting of RNA world cells, but this has never been confirmed. Maybe we can find RNA world cells on Mars instead? There are many other ideas for early life that could perhaps still exist there, though extinct on Earth, including the so called autopoetic cells that replicate just by producing daughter cells with a similar mix of chemicals when they get large, with no genetic code to regulate the process. Unrelated life, perhaps based on some form of XNA (Xeno Nucleic Acid) instead of DNA. This would be the most amazing discovery of all. It would lift biology into a new dimension, show how life can exist based on completely different principles from DNA based life. There are many alternatives to DNA and RNA. RNA and DNA are both particularly fragile, DNA especially and hard to form naturally, need the environment of the cell or special conditions to keep them stable. RNA is more stable when it is very cold for instance, and ribose in its backbone is stabilized by the presence of borates, one of the points in favour of an origin on Mars. Some of the others are more robust and some think we may have started with a PNA world for instance as it is far more robust than RNA and forms more easily. Other ideas for early life include TNA world, or a molecule that's a hodgepodge mixing different backbones in the same molecule with non heritable variations in backbone structure (or a whole alphabet soup" of other possible precursors such as HNA, PNA, TNA or GNA - Hextose, Peptide, Therose or Glycol NA). Life that is based on novel new principles that we haven't thought of yet. For instance, what if other life doesn't use a helix? Suppose for instance that the life used a sheet like two dimensional structure, planar rather than linear, and replication happened by a second layer forming on top of the original sheet? Or could it even be a 3D informational polymer? Is there any approach that avoids the need to uncoil to read it? We can do this mechanically through laser scanning, in prototypes for future memory devices, so the idea is not so far fetched as to be totally impossible. This is just fun speculation at present. But suppose that you are an ET biologist and your life uses 2D sheets to replicate - would you not find the idea of a helical structure that has to uncoil and unzip to replicate implausible and unlikely too? Life that has evolved further than Earth life. Mars has had such harsh conditions in the early solar system, alternating ice and more habitable phases. It's also been subject to strong ionizing radiation, extremes of cold, and near vacuum atmosphere. Some think that we have multicellular life on Earth as a result of a snowball Earth phase. If that's true, you could make a case for Mars life to be more highly evolved than Earth life - more complex, more robust cells, with more non redundant nucleotides, and more capabilities than Earth life, maybe even totally novel capabilities never explored here, even if it is just single cell life. Life with a capability Earth life doesn't have, e.g. a new form of photosynthesis. We have three ways of doing photosynthesis on Earth - broadly speaking. The photosynthesis of the haloarchaea which works similarly to the receptors at the back of our eyes, based on a "proton pump" which moves hydrogen ions across a membrane out of the cell using bacteriorhodopsin similar to the rhodopsin in our eyes, with no byproducts such as sulfur or oxygen, just creates energy directly from the proton gradient. ET microbes might well use some fourth form of photosynthesis that has never been explored on Earth. Life similar to Earth life in most respects, would raise many questions. How has it evolved in such a different environment, since last transfer from Earth, surely at least tens of millions of years ago. How did it get there? We can test the theory of panspermia, find out in practice how easy it is for life to be transferred to another planet. No life but with organics, and all the ingredients for life but no life. This may seem boring, but it would tell us a lot about how hard it is for it to evolve on a planet, and about the paths it follows on the way to life. If not life itself, there has to be some complex organic chemistry going on, and cell like structures surely form, as that happens even in short term laboratory experiments. So how far did it get and what exactly happens on a world similar to Earth in many ways (especially in the early solar system), but without life? Also, on Earth it's impossible to study uninhabited habitats, except for a very short time after a volcanic eruption. Life appears rapidly on any uninhabited habitat here. On Mars, we might have the opportunity to study uninhabited habitats on a planet that hasn't been inhabited for billions of years. This could help us to understand exoplanets and the origin of life and maybe find out that life is harder to evolve than we thought. It can also help to disentangle effects of life and non life processes on Earth. Some major unexpected discovery that nobody currently is likely to predict. All possibilities here are of exceptional interest for biology. If there are habitats for life at all on Mars, whether inhabited or uninhabited, then biologists world wide will want to study them as they are now, and the results in the best case could be revolutionary for biology. If these habitats do exist and are habitable, there are many Earth microbes which have been shown to be able to survive in Mars simulation conditions, and so could potentially survive there, contaminate them and make it difficult or impossible to study them to find out what was there originally. Researchers at DLR (German equivalent of NASA) testing lichens in Mars simulation experiments. They showed that some Earth life (lichens and strains of chrooccocidiopsis, a green algae) can survive Mars surface conditions and photosynthesize and metabolize, slowly, in absence of any water at all. They could make use of the humidity of the Mars atmosphere. Though the absolute humidity is low, the relative humidity at night reaches 100% because of the large day / night swings in atmospheric pressure and temperature. Chroococcidiopsis - UV and radioresistant, and can form a single species ecosystem. It needs no other forms of life, and only requires CO2, sunlight and trace elements to survive. Some species of Carnobacterium extracted from permafrost layers on Earth which are able to grow in Mars simulation chambers in conditions of low atmospheric pressure, low temperature and CO2 dominated atmosphere as for Mars. Geobacter metallireducens - it uses Fe(III) as the sole electron acceptor, and can use organic compounds, molecular hydrogen, or elemental sulfur as the electron donor. black molds The microcolonial fungi, Cryomyces antarcticus (an extremophile fungi, one of several from Antarctic dry deserts) and Knufia perforans, adapted and recovered metabolic activity during exposure to a simulated Mars environment for 7 days using only night time humidity of the air; no chemical signs of stress. black yeast Exophiala jeanselmei, also adapted and recovered metabolic activity during exposure to a simulated Mars environment for 7 days using only night time humidity of the air; no chemical signs of stress. Methanogens such as Methanosarcina barkeri - only require CO2, hydrogen and trace elements. The hydrogen could come from geothermal sources, volcanic action or action of water on basalt. Lichens such as Xanthoria elegans, Pleopsidium chlorophanum, and Circinaria gyrosa - some of these are able to metabolize and photosynthesize slowly in Mars simulation chambers using just the night time humidity, and have been shown to be able to survive Mars surface conditions such as the UV in Mars simulation experiments. Most of these candidates, apart from the lichens, are single cell microbes (or microbial films). The closest Mars analogue habitats on Earth such as the hyper arid core of the Atacama desert are inhabited by microbes, with no multicellular life. So even if multicellular life evolved on Mars, it seems that most life on Mars is likely to be microbial. The astrobiologists who wrote "Over protection of Mars" think that life on Mars is going to be pretty much identical to Earth life in all respects. But that is a minority view. It could equally well be very different indeed. Their reasoning is that Earth and Mars have shared a lot of material via meteorites. But that only happens after really huge impacts on Earth like the Chicxulub meteorite 66 million years ago. 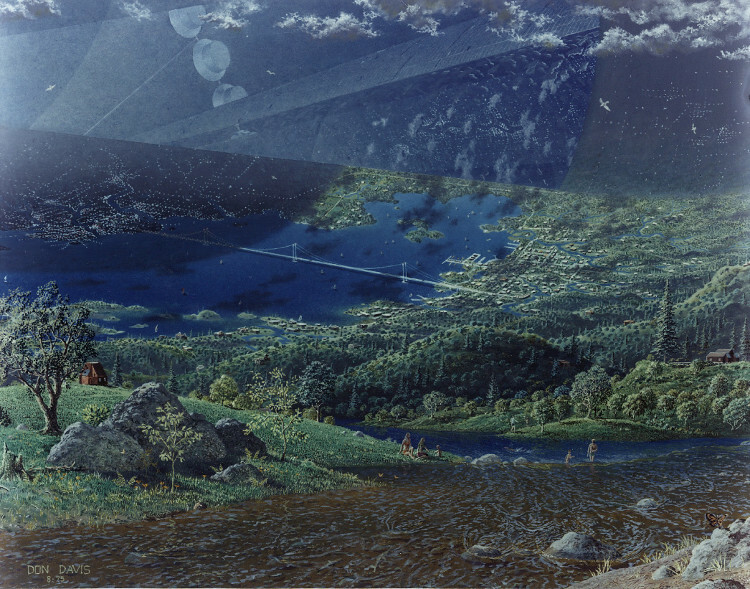 Artist's impression by Don Davis of the Chicxulub meteorite impact into a warm tropical ocean. A huge impact like this could send debris all the way to Mars through our thick atmosphere. Remarkably, experiment suggest that some very hardy extremophiles could survive the century in the vacuum, cold, and solar radiation of space as well as the shock of ejection and impact on Mars. However we don't yet have any examples yet of panspermia - transfer of microbes on a meteorite between planets. It is currently a theoretical idea not confirmed by any observations. If this does happen, it is probably very rare. The life has to not only survive the journey - it also has to be pre-adapted to be able to survive on Mars once there. It also has to be capable of forming a single species ecosystem - or else - to be able to co-habit with whatever life is there already. If it has happened, the easiest time for this to happen is in the early solar system soon after the formation of the Moon when a lot of material was shared between the planets - but back then, was life robust enough to be transferred in this way? The hypothesis in "Over Protection of Mars" is that not only has there been panspermia, life transferred to Mars, but also, there has been so much transfer - and parallel evolution - on Mars and Earth that introduced Earth life in a human mission would make no difference to the planet. This is a minority view very unusual point of view on the matter. Most astrobiologists expect some differences between Mars and Earth life if it exists. At the very least, it has evolved under very different conditions for 66 million years since Chicxulub and probably for billions of years. If the life is so similar that you can't distinguish between similar microbial communities in similar habitats on Mars and Earth, that by itself would be a remarkable result that surely would require a lot of investigation during which you'd want to keep Earth microbes away from Mars. To get to Mars a microbe in the warm tropical sea which this asteroid hit will have to survive first the shock of impact. Then it has to survive 100 years minimum in space (when first pieces get to Mars) in the extreme cold of space, vacuum conditions and solar storms and cosmic radiation. Then it has to survive the shock of impact on Mars, then it has to find a habitat once there, and it has to be sufficiently pre-adapted to that habitat to survive and reproduce. It also has to be capable of forming a single species ecosystem - or else, to be able to survive in collaboration with whatever microbes are there already. When I was young, in the sixties and seventies, most scientists thought panspermia was a daft idea. The rather eccentric scientists Fred Hoyle and Chandra Wickramasinghe put it forward and no-one else believed them. Now, though not quite in the form they presented it, it's gone the other way. People, like Robert Zubrin, Dirk Schulze-Makuch and Alberto Fairén in this case, and many others, often speak about panspermia as if it has been proven. But though we have found some remarkable extremophiles, that just possibly might survive such a journey, it still remains just a theory. It is remarkable that it is possible at all. Some theoretical modeling suggests it may even be possible between neighbouring stars. But it remains theory and we don't yet have a single example of a microbe that has been transferred between planets. It might never have happened. It might have happened but only in the early solar system in the first few hundred million years after the Moon formed. Or it might be that it happened as recently as 66 million years ago. Any life that got there 66 million years ago also has had all that time to evolve in the very different Martian conditions. It does now seem possible that some very remarkable polyextremophile microbes able to withstand, cold, vacuum, impact shock, radiation etc, could get there. Chrooccocidiopsis is a good candidate, a polyextremophile also forms single species ecosystems, anaerobe, survive almost anywhere on Earth. However, it doesn't seem likely at all that e.g. any lichens have got from Earth to Mars in that way. Yet they could survive on Mars. Depending what types of habitats actually exist on Mars, there may be many other lifeforms that could survive on Mars and yet may have no chance to get there on a meteorite. I think that for most astrobiologists, Dirk Schulze-Makuch and Alberto Fairén have presented a rather extraordinary hypothesis about Mars which would need to be proved. There would be bound to be at least some differences. And if we did find life there almost identical to Earth life, that itself would be so extraordinary we would want to study it carefully to find out how that happened. The last you'd want to do in that situation is to introduce lots of Earth microbes to confuse the situation. And it is well possible that Mars has its own unique lifeforms. Even if some Earth life got there, it may well play nicely with whatever is there already. For instance a green algae such as Chroococcidiopsis might well play nicely with existing life on Mars. That would not mean that all Earth life is as congenial to life there. Robert Zubrin says this frequently in his talks about colonizing Mars. But the idea just doesn't pan out if you look at it in any detail. First, any life on Mars may be driven extinct by Earth life. It doesn't follow at all that because it is adapted to Mars that it is not going to go extinct. The easiest way to see that is that is if it is some earlier form of life, such as RNA world life. 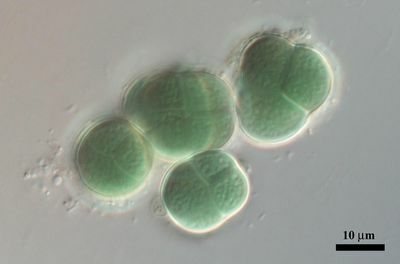 Perhaps some microbes like Chroococcidiopsis would not make early life extinct, after all it is a primary producer, it does not eat other lifeforms and the oxygen it produces as a byproduct would be no problem on Mars as it has a very oxygenated surface already with perchlorates in place of chlorides and even hydrogen peroxide - lifeforms that can withstand those won’t be bothered by a bit of oxygen. Chroococcidiopsis, an ancient polyextremophile green algae which brought oxygen to Earth. It might perhaps play very nicely with early life on Mars, even RNA world life. But early life would be vulnerable to whatever made it extinct on Earth. But we don't have any early life left on Earth and our earliest life we do have is far too complex to have evolved in one go. So if it still exists on Mars, then it may be very vulnerable to whatever made it extinct on Earth. Robert Zubrin gives the analogy of sharks out competing lions in their native habitat which is absurd. Sharks can’t even survive for minutes in the African savannah. But we have many microbes that can survive just fine on Mars if the suggested habitats exist. For a different analogy, rabbits and rats out compete wallabies, and many invasive plants out compete native plants. So it just depends which species you use for your analogy. We don't have problems with sharks competing with lions but we do have problems with rabbits competing with wallabies. Who is to say which is the right analogy for Mars? We just don't know until we find out more. 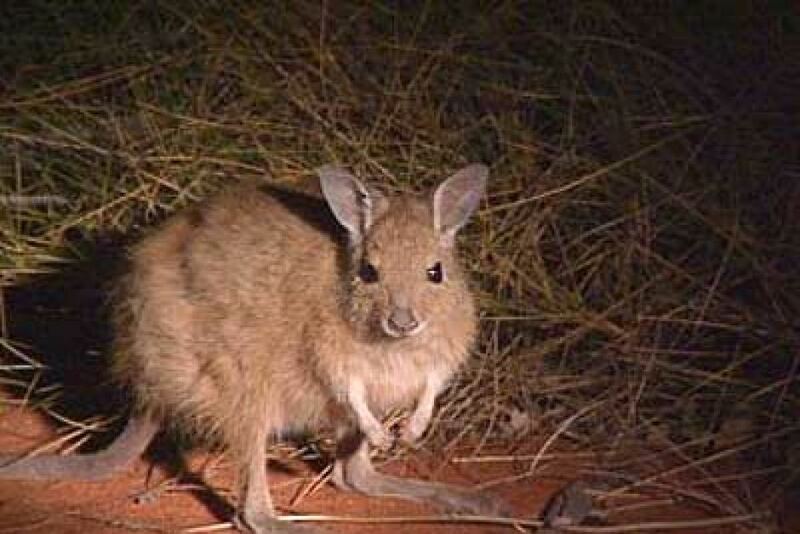 The Mala or shaggy haired wallaby, considered as creation ancestors for the Anangu Aboriginal people - are in competition with the introduced rabbit. Robert Zubrin often uses the vivid analogy that introduction of Earth microbes to Mars is no more likely to cause problems than introducing sharks to the African Savannah. But what if you change the analogy to rabbits competing with wallabies? Argument by analogy is precarious, and we need to actually study Mars life before we can know whether competition with introduced Earth microbes is more like sharks competing with lions, or rabbits competing with wallabies. We have many examples of species on Earth that have gone extinct due to invasive species such as rats, cats, etc. Also he has another argument that he brings up in all his Mars colonization talks - that it should be easy to tell whether life is from Mars or from Earth using the analogy of anthrax. Yes there are some lifeforms we have sequenced and would recognize on Mars. Anthrax is an example. But only 100,000 of one trillion microbe species, 0.00001% have had gene sequences published. It's not at all practical to have an "inventory" of every single microbial species on the spaceship. Photomicrograph of Bacillus anthracis bacteria using Gram-stain technique. This is one of 100,000 microbes that have been genetically sequenced. Robert Zubrin is fond of using it as an example in his talks. Yes if we found a microbe on Mars that has been genetically sequenced on Earth and we genetically sequenced it, we'd be able to tell if it is from Earth or Mars. But only 0.00001% of Earth microbes have been sequenced. Also the archaea swap DNA fragments readily with each other through horizontal gene transfer (by Gene Transfer Agents). This is an ancient mechanism which works between the most distant most unrelated archaea. So if there is a common ancestor, even from 4 billion years ago, the chances are that after introducing Earth life you have a hybrid of Earth and Mars DNA for any life that is related to Earth life. Credit: Zina Deretsky, National Science Foundation The red colouration of this pea aphid comes from a unique ability to generate carotenoids itself. It got this ability through horizontal gene transfer from a fungi. 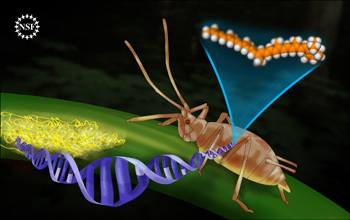 Archaea can also transfer genes between phyla that are as different from each other as fungi are different from aphids. It is an ancient mechanism and so may also be able to transfer genes from life that had last common ancestor with us in the early solar system. Photograph by Erich Bartels of the experiment, see Virus-like particles speed bacterial evolution published in Nature, 2010. After leaving the experiment overnight, GTA conveying antibiotic resistance spread to 47% of the microbes in these bags of sea water collected from a wide variety of locations. So after introduction of Earth microbes to Mars, if there is any past common ancestor, the Earth and Mars microbes could swap gene fragments readily making it next to impossible to tell which genes originally came from Mars or from Earth. It's surely true that there is Earth life there already from our spaceships. But our planetary protection measures take this into account. Carl Sagan's aim was a 1 in 10,000 chance of contaminating Mars per mission and a 1 in 1000 chance of contaminating it during the exploration period. It never was to be 100% sure we can't contaminate it. Of course ideally that is what we'd want it to be. But we can't do that at present. I think we should aim for 100% myself for Europa and Enceladus by sampling the plumes rather than landing. But for Mars the die is cast. However, the chance is probably something like 99.9% certain that it is not yet contaminated. So even with Viking it was done on a probability level. The decision to stop sterilizing to Viking level was done on the basis that conditions on Mars are so harsh that they correspond to the heat sterilization stage of the Viking lander. Critics say that they stopped protecting Mars after Viking, but that's not true or was not the intention at least. We still have planetary protection officers and regular biannual meetings of COSPAR to protect Mars and the rest of the solar system. What happened is that before Viking they didn't know quite how hostile conditions were there. After Viking, they came to the conclusion that such measures of sterilization were only needed if the spacecraft contacts regions in Mars that could be habitable for life - and Viking level sterilization is still the requirement for those "Special regions". For other spacecraft like Pathfinder, Opportunity, Spirit, Phoenix, and Curiosity, they sterilized them to the pre-heat treatment stage on Earth for Viking. Then they count on the harsh environment on Mars for the rest of it. They did give up on the use of probabilities pioneered by Carl Sagan et al, because of the impossibility of assigning a probability to life contaminating Mars, but the basic objective is the same to have a tiny chance of contamination, of the order of 1 in 1000 for contamination during the "exploration phase" of perhaps 57 ground missions an 30 orbiters (Carl Sagan's figures). Even though we've had crashes on Mars, they also were probably sterilized pretty much during the re-entry and crash itself. So that question about what counts as too much contamination is something the exobiologists have already looked at and written many papers about. The current guideline, for Curiosity and for all other missions to the surface (apart for those that search for present day life which have stricter requirements) is to reduce the bioburden to 300,000 bacterial spores on any surface from which the spores could get into the Martian environment. Any heat tolerant components are heat sterilized to 114 °C. Sensitive electronics such as the core box of the rover including the computer, are sealed and vented through high-efficiency filters to keep any microbes inside. That is a level of protection we can do with rovers and landers. It is totally impossible to achieve that once you have humans on board. COULD WE HAVE CONTAMINATED MARS ALREADY? Mars has turned out to be a bit more hospitable than we thought. So that raises the prospect - what if it is already contaminated? I think the Phoenix lander is the most likely to have done so, or alternatively the Mars Polar Lander because it crashed in polar regions. After all Phoenix observed what seemed to be droplets of liquid salty water on its legs. Phoenix lander crushed by frost - layers of dry ice forming on the solar panel in winter snapped one of them of and it was not expected to last the winter - the right hand image shows it two years after the 2008 landing in 2010. If any of our landers have contaminated Mars, I'd have thought Phoenix was a likely candidate. As usual it was sterilized to high standards, but before Phoenix nobody realized there was any possibility of liquid there, now we realize that liquid brines are a distinct possibility, also droplets of water on salt / ice interfaces. Most of those are probably either too salty or too cold for life but are there any that Earth life could survive in? We just don't know. Experiments show that it is possible to achieve habitability but it depends on the particular mix of salts. 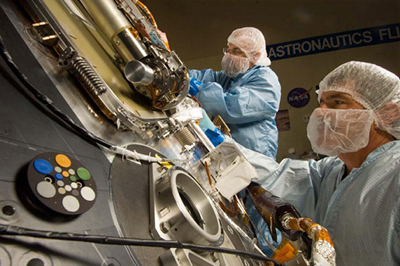 Jim Young (left) and Jack Farmerie (right) from Lockheed Martin, working on the Phoenix lander science deck under clean room conditions to protect Mars, following planetary protection guidelines. Credit: NASA /JPL/UA/Lockheed Martin. However nobody knew back then that liquid water could form on the surface in those regions. The entire polar regions of Mars are now declared a "Special Region" meaning that landers there need Viking level sterilization for anything that could potentially contact a habitat. Has Phoenix contaminated Mars? The consensus seems to be that probably it hasn't, but it's site would be an ideal one to visit to check how effective our measures to date have been. I think myself that a priority mission for planetary protection is to send a lander to investigate one of these sites. If Phoenix, say has started to contaminate Mars we might find a small enclave of life around the lander. I think that it is high time that we actually had a mission to the surface to actually test to see how effective our planetary protection measures are. The mission could be dual purpose, first to search for life habitats, past and present life signs etc - so it would land some distance away from Phoenix - then it would travel up to the crashed lander, photograph it, and analyse the remains and test for liquid water droplets and for signs of life, and examine the spacecraft itself for viable life there. WHAT IF WE HAVE CONTAMINATED MARS? First, if there is Earth life there already, brought on our landers - the last thing we should do is to introduce new life. For instance if it has been contaminated by a photosynthesizing green algae, well perhaps that plays nicely with much of the Mars life. Even if what we have there is a vulnerable RNA world that has been made extinct on Earth, well whatever there is obviously well adjusted to oxygen, including the perchlorates and hydrogen peroxides. A little oxygen from green algae is not likely to bother it. The green algae as primary producers are not likely to harm it, may even be a source of food, creating new organics from just sunlight, CO2 and trace elements. This doesn't mean that it is okay therefore to introduce all the microbes on a human occupied spaceship that would get there after a crash on Mars. That's like saying that if you introduce rabbits to an island, then that's the end of any attempt to protect it from invasive life, so you might as well introduce rats, cane toads, goats, cats etc. There may be many things that are vulnerable to rats, cats etc that are not harmed by rabbits. Or it's like, if you are overrun by kudzu, the answer is to say okay, let's have Japanese knotweed, let's have Himalayan Balsam, let's have every single invasive species that ever causes problems as obviously it's all over now. A gardener or farmer would not do that. 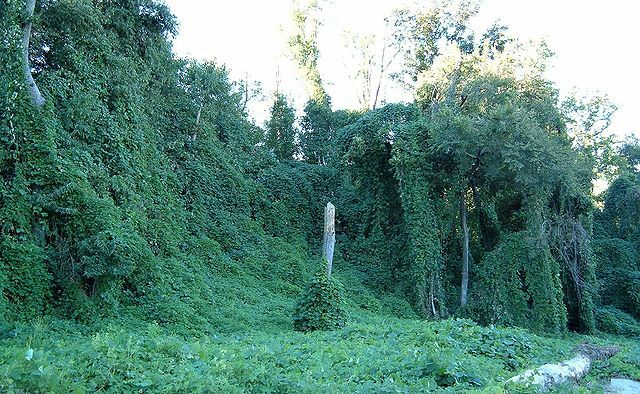 Instead you'd minimize the effects of the kudzu as much as you can and do whatever you can to prevent the other species from invading. Kudzu, an invasive species, on trees in Atlanta Georgia. In the same way if we find that Phoenix has introduced life to Mars, or any of our other landers or crash sites there - then the first priority would be to see if we can limit or reverse the damage. The life would be slow growing in such harsh conditions. Perhaps we could sterilize it with ionizing radiation or similar. We could take a high intensity gamma radiation emitter to Mars and use that to sterilize the immediate vicinity around the lander. Who knows, maybe it is not too late and we can sterilize and reverse the contamination completely. And if not, we manage it as much as we can, slow it down as much as we can, and make sure we don't introduce any other invasive microbes to Mars. This is keeping our options open for the future. This is the idea that if you add microbes to a planet, no matter what they are, that it will automatically turn into a second Earth or the closest to Earth that's possible for the planet. I call that the "myth of automatic terraforming". To see why that is not automatic, think of a future Earth too hot for life, a billion years into the future. It would just have extremophiles. Just possibly there might be some biological way to do something about this to cool down that future Earth using microbes - but why would just adding a lot of microbes from present day Earth cool it down automatically? If it could sort itself out, it would have done it already. Mars may well have life already, and if so, it has not terraformed it, and why then would life from Earth terraform it if its own native life has not? Adding life to a planet could push it in many different ways and there is no way of knowing if it would make it better or worse. The one thing it definitely does do though is to close off future options. After you've done that, you can never roll back, if you later find that one of the lifeforms you introduced is a major problem on the planet. Not with microbes. It is hard enough to roll back higher lifeforms like rabbits, cane toads, rats, Kudzu or Japanese knotweed. Even camels are a problem in Australia since the continent is so huge. How could you roll back a problem microbe from a planet as large as the land area of Earth? What will you do if you have introduced some problem microbe? Maybe you want to increase oxygen levels but you introduced aerobes that eat the oxygen? Maybe you want to increase methane levels but you accidentally introduced methanotrophs that eat it? Maybe you introduced secondary consumers that eat the algae that you want to use to introduce oxygen. Many things could go wrong as a result of microbes you introduced by mistake. Imagined colours of future Mars. This is just to suggest the idea that there could be many possible futures and accidental or intentional attempts to transform the planet could push it in many different ways, and we might not have much control on what happens after that especially if something takes it in an unexpected direction. The one in the middle is the aim of terraforming. But it could as easily be any of the others or something else altogether. And once we start to introduce life to Mars, there is no way to take any of it back again if it causes problems, or evolves rapidly into something problematical. See Imagined Colours Of Future Mars - What Happens If We Treat A Planet As A Giant Petri Dish? As one simple example of how microbes introduced by mistake could mess things up quickly, some bacteria convert water to calcite, and if you introduce them by mistake, you might find that these microbes have converted all the underwater aquifers to cement. That's an example from Cassie Conley, current planetary protection officer for the USA - she is a microbiologist / astrobiologist. I think this is based originally on Lovelock’s Gaia hypothesis in its strong form, the idea that life makes planets more habitable for itself. The weak Gaia hypothesis that the Earth has many systems that work together to help keep it in a habitable state, mediated by life, is widely accepted. But the idea that such a system arises automatically on all terrestrial planets with life is not at all universally accepted. That’s the “strong Gaia hypothesis”. Some things about our own planet are puzzling, for instance, why did photosynthetic life evolve at just the right time to turn a CO2 into oxygen, to cool our planet to keep it habitable, instead of arising too soon, to make it too cold, or too late, leaving it too hot? Then in science fiction the strong Gaia hypothesis has been exaggerated to mythology, the idea that introducing life to a planet not only helps keep it habitable for that life, but that it also automatically makes it habitable for humans too. Why? The way to make Mars the most habitable it could be for life would be for methanogens to evolve to convert all the atmosphere to methane, which is a strong greenhouse gas. That would make Mars nearly as warm as it could be, using natural methods, though if the strong Gaia hypothesis was true, then surely also the life would evolve to generate stronger and stronger greenhouse gases on Mars to keep it warm. That would make it more habitable, but not an environment humans could live in. We may have spotted methane on Mars. If so this figure from NASA / JPL shows possible sources. One possibility is methane clathrate storage. It's possible that early Mars had large amounts of methane in its atmosphere which helped keep it warm. The only natural way for a Martian version of Gaia to keep it warm today is through generating greenhouse gases. If so, a methane atmosphere is one way it could do it, or some other stronger naturally produced greenhouse gas. The result would be habitable possibly for ancient Mars life, but not for humans. This could be a way to "Mars form" Mars to return it to conditions that it enjoyed in the early solar system. But if so, whatever lead to the methane disappearing would probably happen again. The idea that life on a cold planet like Mars would automatically produce methane to keep it warm would be a very strong version of the Gaia hypothesis. That would be a very strong version of the Gaia hypothesis - the idea that life on planets like Earth evolve oxygen generating photosynthesis to make it colder as it gets too warm, and life on cold planets like Mars evolves methanogens to create greenhouse gases to warm it up. Mark Waltham has argued that it is probably much more a matter of luck, at least partly, on Earth that life converted carbon dioxide in the atmosphere in to oxygen at just the right time to cool it down. If it was true, it would not be too promising for making Mars Earth-like as it would tend to converge back to a methane rich atmosphere. With this background, then introducing Earth life to Mars would probably do nothing to make it more habitable, not without some long term plan, mega engineering, and careful selection of which lifeforms to introduce when. You can't just leave it "up to Gaia" to do it for you, as even on the strongest possible Gaia hypothesis, then it can't create an oxygen rich Mars because it would be too cold out there. It would probably need artificial greenhouse gases or large planet scale mirrors or both to remain warm enough long term. In a thousands of years project that then goes on and on, trillions of dollars a year keeping it habitable. And what do you do if it begins to go in some unexpected direction? It is a major issue on Earth just to keep the levels of carbon dioxide at the correct values from rising at levels of only 400 parts per million. I think it is great to think about terraforming ideas, yes. It helps us learn a lot about our planet and exoplanets and Mars itself to do those thought experiments. But as for practical experiments, let’s start a lot smaller. We haven’t yet managed a closed system ecosystem the size of Biosphere II on Earth. Once we have very small closed system ecosystems on Earth, then we can try it in space also, for instance in the possibly vast lunar caves, as vast as an O'Neil cylinder. Artist's impression by Don Davis of the interior of an O'Neil style cylindrical space colony - from Space Colony art of the 1970s. The caves on the Moon may be as vast inside as this, in the low gravity, several kilometers in diameter. The Grail radar data suggests the possible presence of lunar lava tube caves over 100 kilometers long. Though vast, such a project is nevertheless far far smaller than the planetary scale mega-engineering needed for terraforming. It is also a project that could be completed in decades. A terraformed planet would take thousands, or hundreds of thousands of years to completion. On Earth the process took millions of years. If we can't make O'Neil cylinder type habitats or their analogues in lunar caves, we have probably got nowhere near the capability needed to terraform a planet. Then we can work up to larger maybe city dome or Stanford Torus type ecosystems. Eventually we can try Terraforming and paraterraforming the Moon. Let’s leave off ideas to terraform planets until we know a bit more. And - let’s keep Mars pristine for scientific study at least until we know what is there. Otherwise we may mess it up for future transformation, if we do try to change it, and we may also spoil the opportunity to make the next big discoveries in exobiology. It may be the equivalent of an exoplanet on our own doorstep in terms of the discoveries we could make there. So let’s keep it like that, not try to make it into a pale shadow of Earth before we know what’s there. I fully understand how those who are keen on colonization of space want to land humans on Mars as soon as possible. They’ve been looking forward to this for decades some of them. They may be so keen on this that they think that it is far more important than any discovery in biology. But we aren’t talking about preserving some obscure microbe only of interest to microbiologists. What we discover there could lead to the biggest discoveries in biology of this century. It could be as big a discovery as the discovery of evolution or the spiral structure of DNA. It’s only because introducing life to Mars is irreversible that we are in this situation. Their keenness to colonize Mars doesn’t give Elon Musk or Robert Zubrin or anyone else the right to make an irreversible decision about Mars for the rest of humanity. We are in it together and we all have a right to a say in this decision. The situation is particularly acute because there is a significant risk of a crash of the first human missions to Mars if we do send humans to the surface. See Why Do Spacecraft Crash On Mars So Easily? A crash of a human occupied ship would be the end of planetary protection of Mars for science. I think that our objective for humans to Mars should be humans to Mars orbit and possibly Phobos and Deimos, exploring the surface via telepresence. And as for our first experiments in biological closed systems, paraterraforming, commerce from space etc, I think all of those should be done on the Moon and in NEOs, leading later to exploration throughout the solar system. But the places of most interest for the search for life need to be protected indefinitely, until we know enough to make informed decisions about them. The top priorities there are Mars, Europa, Enceladus, and then there are others that need to be investigated before we know if they are vulnerable such as Ceres. 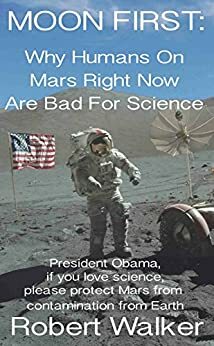 "MOON FIRST Why Humans on Mars Right Now Are Bad for Science", available on kindle, and also to read for free online. 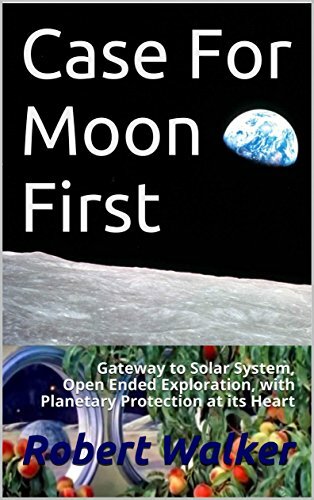 Case For Moon First: Gateway to Entire Solar System - Open Ended Exploration, Planetary Protection at its Heart - kindle edition or Read it online on my website (free).